Perhaps the best known Allied tank during World War II, the M4 Sherman was designed to replace the M3 Lee. 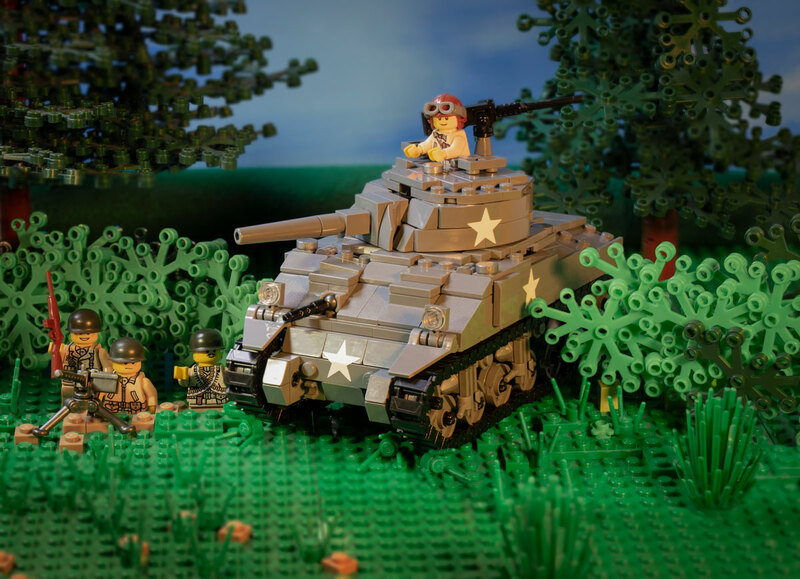 Named for the eccentric Union General William T. Sherman, the Sherman medium tank was mass produced to help offset better-armed German tanks such as the Tiger and Panther. The American war machine produced over 50,000 Sherman tanks between 1941 and 1945. The Sherman chassis was used for several dozen different variants. Among these variants, several were specialized for mine clearance, rocket battery, or as a self-propelled howitzer. The standard M4 Sherman was equipped with a Continental R975 gasoline-powered engine and could achieve a top speed of 21 miles per hour. Stock Sherman examples were armed with two machine guns and a 75mm cannon, the Sherman could handle all but the heaviest German tanks. Although they struggled against German armor, the Allies found success in overwhelming the slower German tanks by often deploying five or more Sherman tanks against the same target. The Sherman was also deployed during the Korean War but was eventually replaced by the M46 Patton.